From a NY designer, this is a classic with a modern twist! 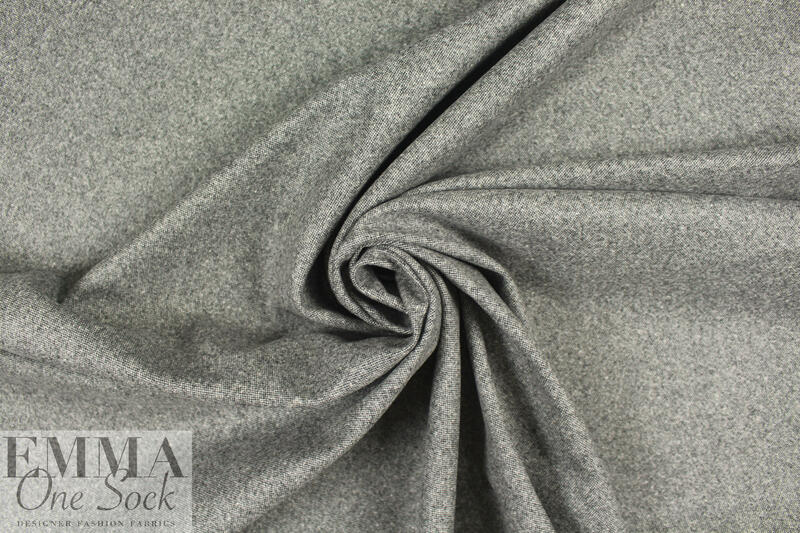 It is a 2-ply fabric (layers cannot be separated) with a woven gray tweed on the face, and a medium gray knit backing (PANTONE 18-5203-ish). 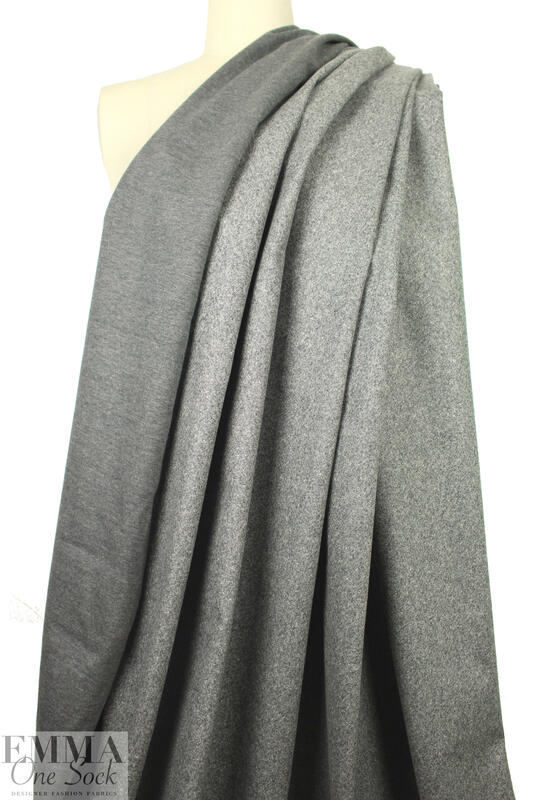 It has no stretch, but the knit backing is very comfortable against the skin. 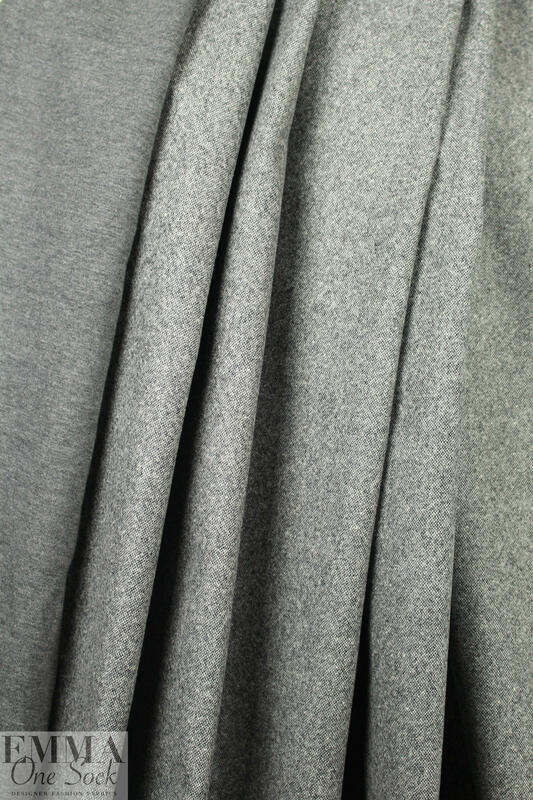 It is a suiting weight with a good amount of body in the drape, and it is perfect for any project you would use a tweed suiting for, jacket, topper coat, skirt, suit, etc. Dry cleaning recommended---please test first if you wish to hand wash and lay flat to dry. Great price! !